SETsquared Surrey member Save-a-Space won an opportunity to pitch at Hong Kong Science and Technology Park Corporation (HKSTP) Elevator Pitch Competition - EPiC. EPiC is an international start-up event where companies pitch their ideas in a 60 second elevator ride at the International Commerce Centre in Hong Kong. Save a Space was 1 of only 100 companies selected globally to travel to Hong Kong on 26th October to be in with a chance of winning an investment prize of $120K. 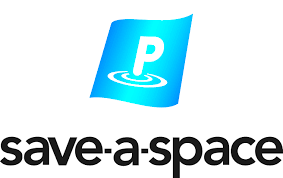 Although Save-a-Space didn't win the prize money, CEO Ralf Kerchen said that it had been an amazing event providing a fantastic opportunity to share the Save-a-Space story and to meet other innovators from across the world.